Storycircle is a project about narrative and voice. It is grounded in an understanding of the potency of narrative to create relationships and reciprocities and to give mutual recognition. 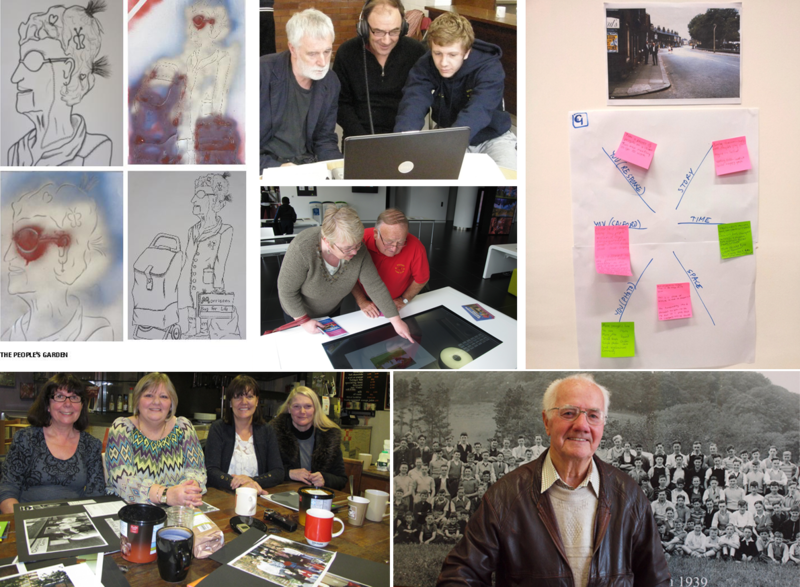 We have collaborated with a range of partners in and around Salford on six core project streams designed to enhance our understanding of the ways in which digital platforms and user interfaces combine with social processes to stimulate creativity and knowledge exchange in ways that are socially beneficial. Our research partners in this research are: Salford City College, Salford Lads’ Club, Oasis Academy MediaCityUK, People’s Voice Media, The Islington Estate Tenants and Residents Association and Start in Salford. The Storycircle project is undertaken by a multi-disciplinary research team who specialise in conducting participatory ‘action research’ with community groups, educational institutions and industry partners designed to explore the relationships between narrative exchange, digital technologies and citizenship. Led by Prof. Nick Couldry (media and social theory), the Storycircle team is: Dr Richard MacDonald (film and visual culture), Dr Luke Dickens (urban and cultural geography), Dr Wilma Clark (educational sociology), Dr Hilde Stephansen (political sociology) and Dr Aristea Fotopoulou (digital culture). Storycircle began as a three-year research project based in the department of Media and Communications at Goldsmiths, University of London. It is a core consortium partner in the Framework for Innovation and Research in MediaCityUK (FIRM) funded by the EPSRC under the joint UK Research Councils Digital Economy programme (grant number EP/H003738/1).